Win a 2-night Stay at spectacular Roch Castle! 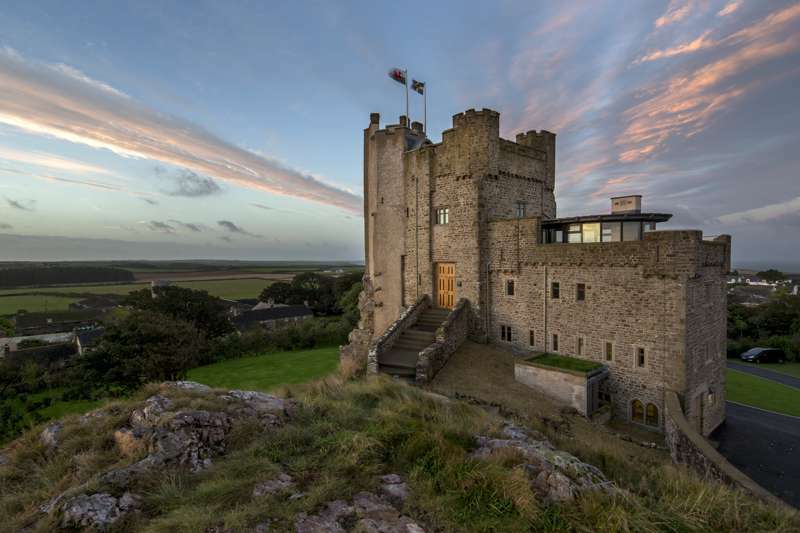 With summer just around the corner we thought what better way to celebrate than partnering up with our good friends at the spectacular Roch Castle, Pembrokeshire. We are offering you the chance to win a 2-night luxury bed and breakfast stay with a bottle of Prosecco and selection box of Wickedly Welsh Chocolates on arrival – it truly is a delightful place to stay in a beautiful part of Pembrokeshire. Roch Castle is a 12th -century Welsh castle with gobsmacking views over St Brides Bay and the Preseli Hills. During your stay, you can indulge yourself indulge further at the 2-AA-Rosette Blas Restaurant at their sister hotel, Twr y Felin in St David's, which offers a fabulous menu influenced by Wales and its produce. The competition starts at 10am on 10 May, 2018 and ends at midnight 24 May, 2018, and it couldn't be easier to enter – just click the button below to send us an email and you will be automatically entered into the competition and we'll sign you up to our newsletter list. If you're already signed up, you can still enter - and by doing so you will indicate that you wish to remain on our database. Good luck and please read the Ts&CS below! The winner will be picked at random and announced before the end of May 2018. This competition is now expired.